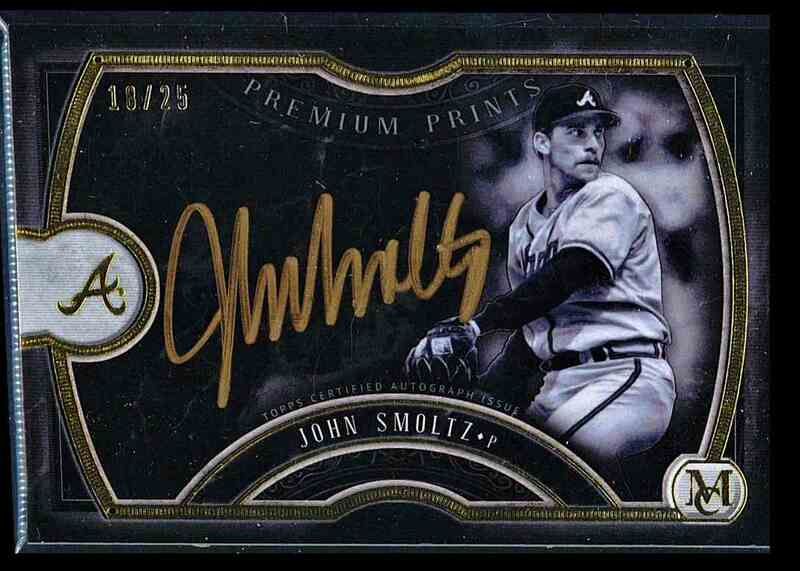 This is a autographed Baseball trading card of John Smoltz, Atlanta Braves. 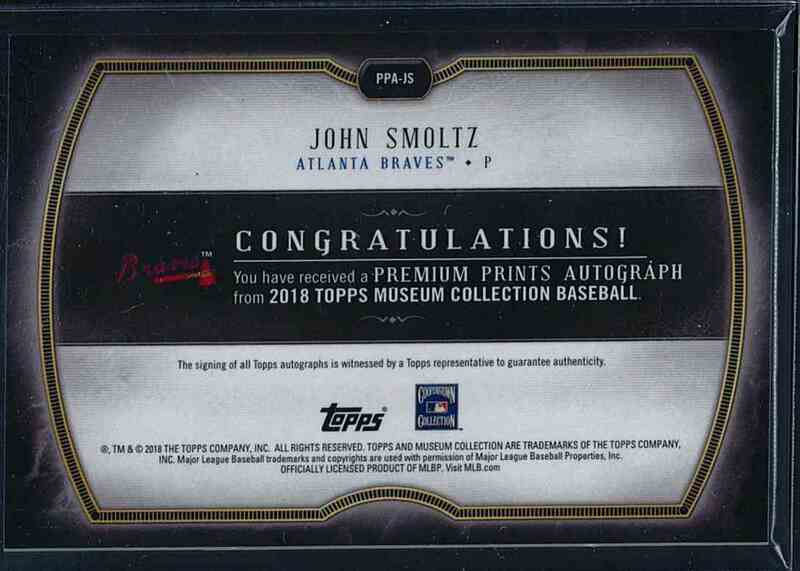 It comes from the 2018 Topps Museum Collection Premium Prints set, card number PPA-JS, serial numbered /25. It is for sale at a price of $ 100.00.